Real leather Organiser notebook with 6 rings complete with punched sheets and mechanical propelling pencil. For a limited time includes FREE UK only postage ! These are Genuine Real leather "slip tab" Organiser notebooks perfect for daily use and small enough to fit in the glovebox, handbag or even a coat pocket. 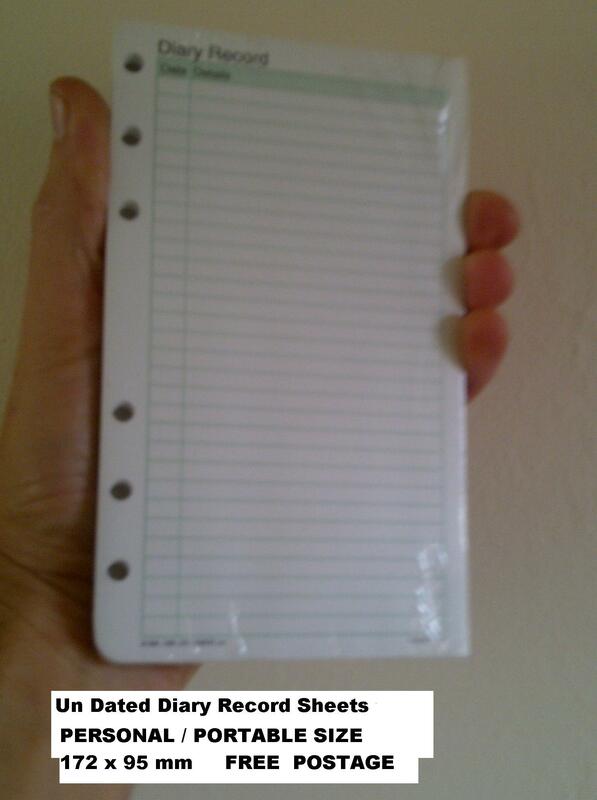 Ideal for business or fun, use it for your hobbies like fishing and golf or just to keep handy notes when your really busy ! Includes the large Starter set of personal size pre-punched undated page inserts to completly fill the binder with all the sheets you need to get started. Includes: Stainless Steel Mechanical Propelling Pencil with eraser under top cap. Binder has a "quick Release" 6 ring mechanism, to make adding and removal of sheets easy. Dividers, pre printed index and content guide labels with spare blank labels for your own customised indexing of the tabs. Assorted printed pages for records, contacts and ruled pages for notes, page marker/ rule, plus pouch for stamps, coins & Cards. A super gift idea and great for hobbies. priced very low from £53.99....£ 9.99 that's including UK postage paid !